Manuel Antonio beach is just a short bus ride from Quepos. I came from Sarasota, Florida to Quepos in 2008 to retire, after having checked out the area in eight prior visits over five years. 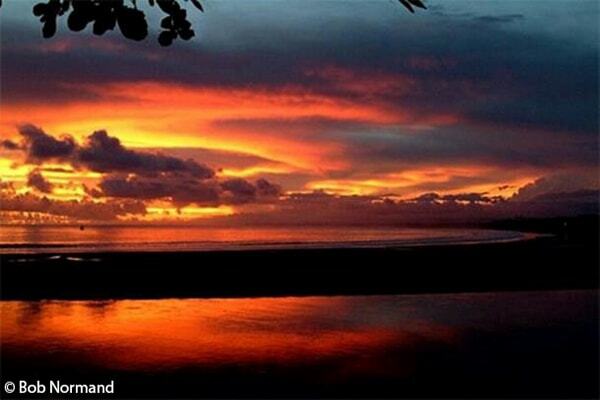 I was looking for a spot near the ocean and close to the diverse wildness for which Costa Rica is famous. I felt very comfortable here during those early visits. Now, over 10 years later, I can say I have never regretted my decision to relocate here. Quepos is a Canton or county located on the Central Pacific Coast where some 30,000 souls live in an area of about 20 by 10 miles wide. Quepos is also the name of the county’s largest settlement, a busy little town with a population of about 10,000 and which is the municipal seat for the county. The town is compact and most commercial enterprises are located within a six block radius of my downtown apartment. Despite 50 years of continuous car ownership, I initially elected to try living here without a car. As time went on I never felt justified or even interested in owning a vehicle as I found I can do several errands walking around the town in less time than someone driving a car. For adventure trips to other parts of Costa Rica I rent a vehicle, maybe once or twice a year. Local jaunts are easily accomplished by bus. Local buses run less than a dollar a trip unless you are an official resident and 65-plus, in which case they are free. Rental cars typically go for $40 to $60 per day, inclusive of insurance. Longer range buses to towns one or two hours away cost less than $3. Direct (non-stop) buses to San José cost about $7 and medium range buses for both intermediate and long range are subject to a 25% discount for resident seniors. Quepos’ location provides easy access to some of the best recreational and natural resources in Costa Rica. 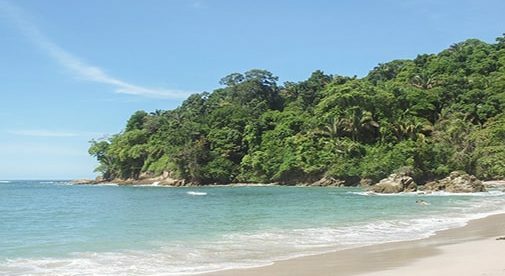 Manuel Antonio National Park, the most visited in Costa Rica, is just 20 minutes by bus, as is the famous Manuel Antonio Beach, offering surfing, snorkeling, parasailing, various water sports, and sunset cruises. Within an hour’s drive from Quepos (or a little longer by bus) you can reach splendid waterfalls, mountain trails, organic herb and spice farms, butterfly farms, more wildlife refuges, whitewater rafting, and a host of other nature-based activities. Expand your reach to two hours and you can be at the foot of Costa Rica’s tallest mountain, Chirripó, or into the many shopping centers of San José and the Central Valley. And Quepos is a sea town, a harbor where fishing fleets supply fresh seafood daily to the five or six dozen restaurants and many stores in the Quepos and Manuel Antonio area. The sunset as seen from the Quepos malecón. For 10 years now, Quepos has been home to Marina Pez Vela, a modern marina where some of the world record catches of billfish have been recorded during the several annual tournaments that are based here. The area between the town and the Marina has now been renovated and developed into a river/bay walk and park known as the malecón. The malecón was built on the original dyke that protects the town from the sea. Here you can enjoy the half-mile long walk by the river or just sit and watch some of the most incredible sunsets Costa Rica has to offer. Even after more than a decade of living here, I can say I am truly happy to be a resident of Quepos.